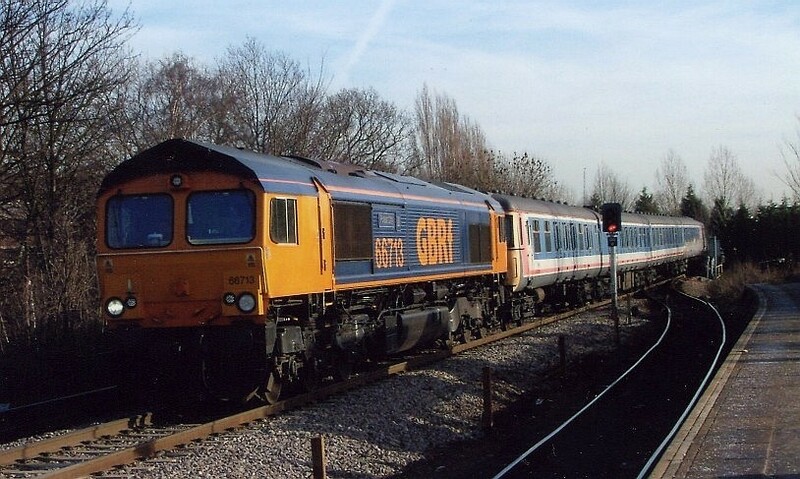 GBRf's 66712 is on a train of class 312 units heading for the scrap yard. 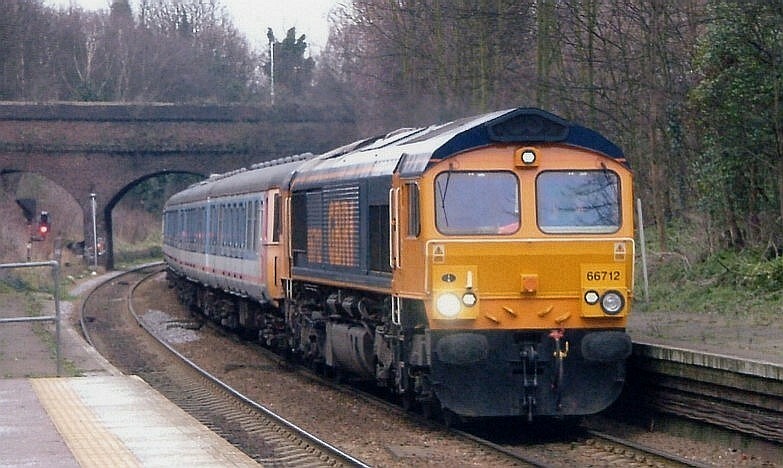 Pictured at Crouch Hill on the 16th February 2005. 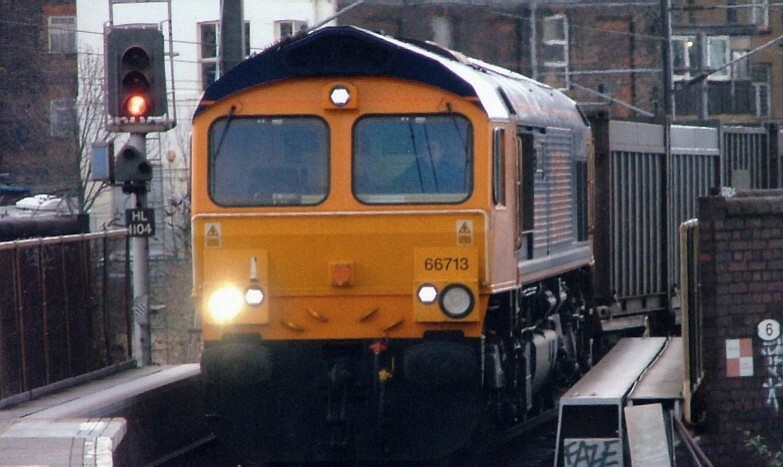 66713 runs slowly in Willesden Junction High Level with a train of gypsum on the 22nd February 2005. 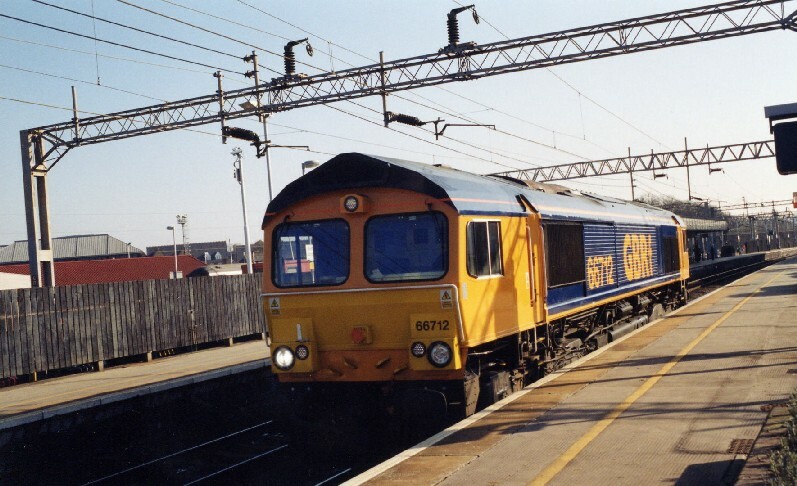 GBRf 66712 is seen at Watford Junction on February 18th 2003. 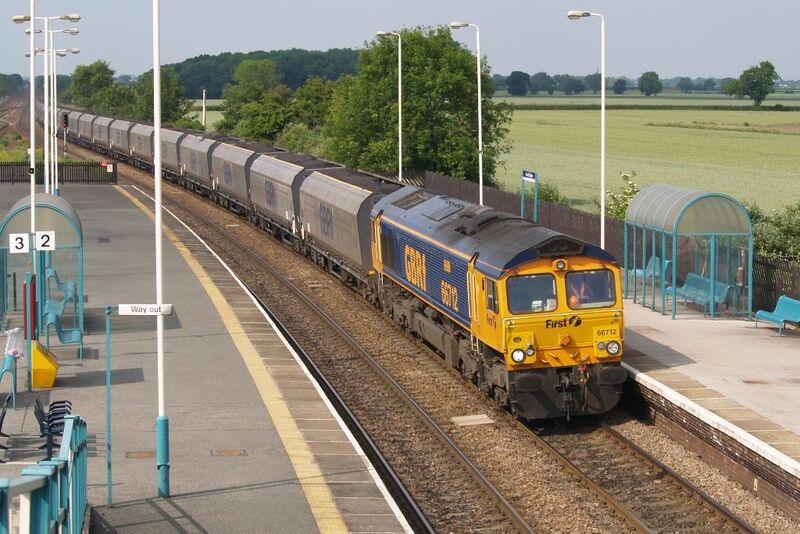 GB Railfreight class 66/7, 66712, passes through Church Fenton with a southbound coal service. 11/06/07. 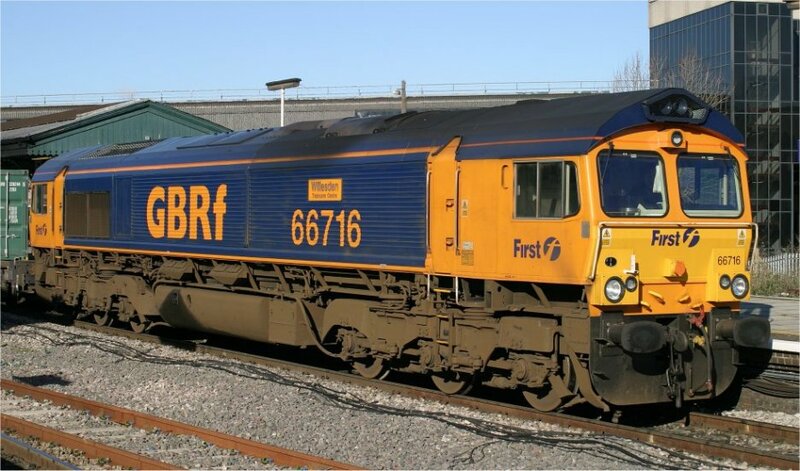 GBRF's 66714 is amongst the very latest GMs to arrive. 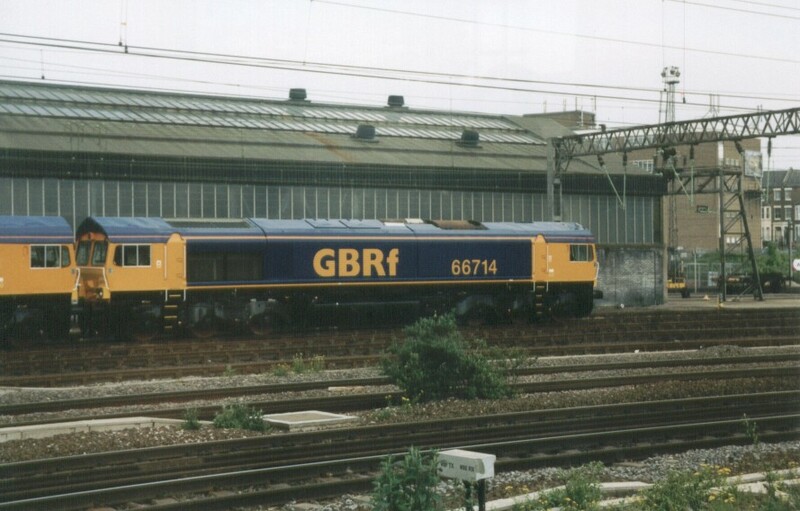 It is seen from a passing Connex service alongside Willesden depot om May 29th 2003. 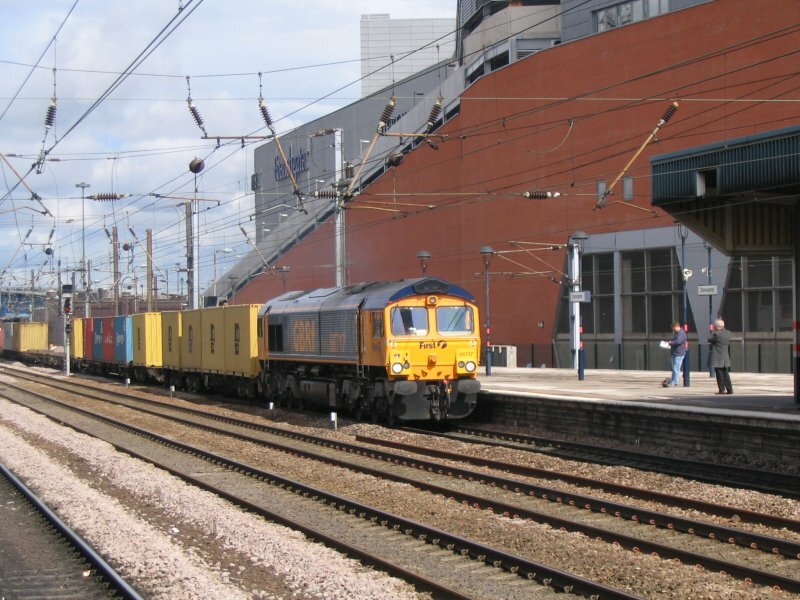 GBRf diesel loco class 66 66717 heads south of Doncaster station with a box container freight train in transit. 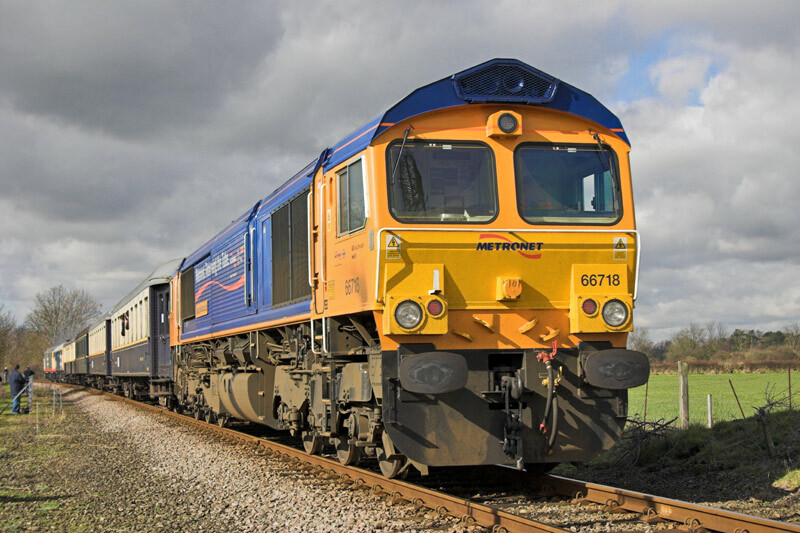 Over the first weekend of March 2007, the Nene Valley Railway held their 'Spring Diesel Gala' event which seen GBRf supply a visiting loco in the shape of Metronet Class 66/7 - 66718 'Gwyneth Dunwoody'. 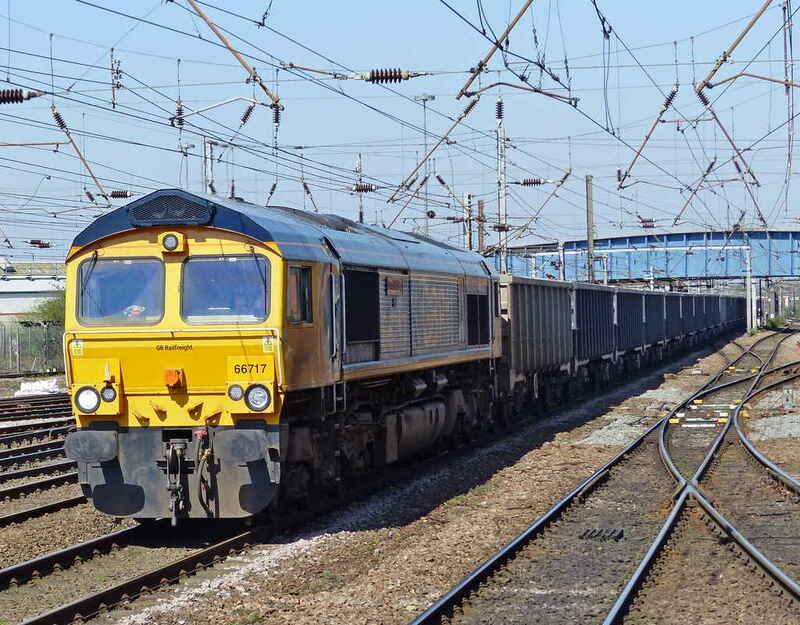 With visiting GBRf Class 66/7 - 66718 'Gwyneth Dunwoody' bringing up the rear, preserved Class 56's - 56098 & 56057 'British Fuels' approach Wansford with the 2M45 11:00 Peterborough NV - Wansford service on Sat 3rd Mar 2007 at 11:45. 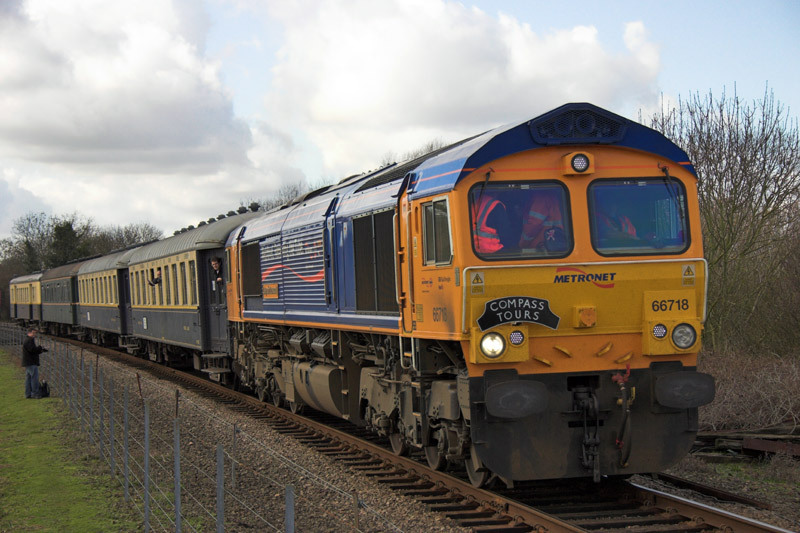 Over the first weekend of March 2007, the Nene Valley Railway held their 'Spring Diesel Gala' event which seen GBRf supply a visiting loco in the shape of Metronet Class 66/7 - 66718 'Gwyneth Dunwoody'. 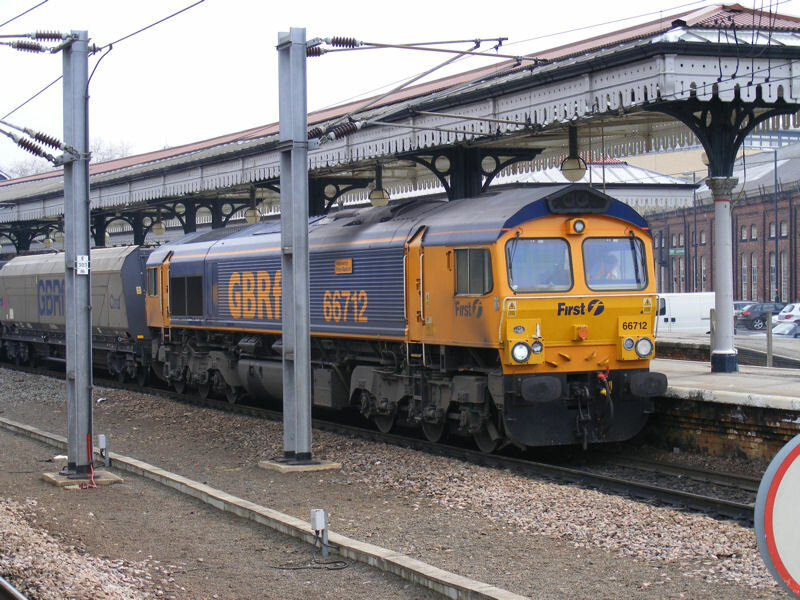 In this illustration, taken on Sat 3rd Mar 2007 at 12:34, 66718 'Gwyneth Dunwoody' heads away from Wansford towards Peterborough with the 1E48 11:55 Wansford - Peterborough NV (via Yarwell) service. 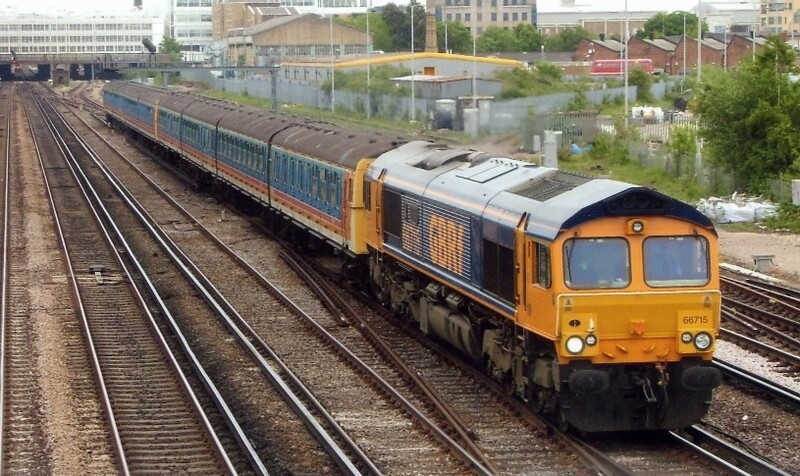 GBRf liveried 66 stand on Platform 9 road waiting the signal to move, this loco moved into the station as I was entering on the Basingstoke - Reading service and was fortunate enough to get the shot. 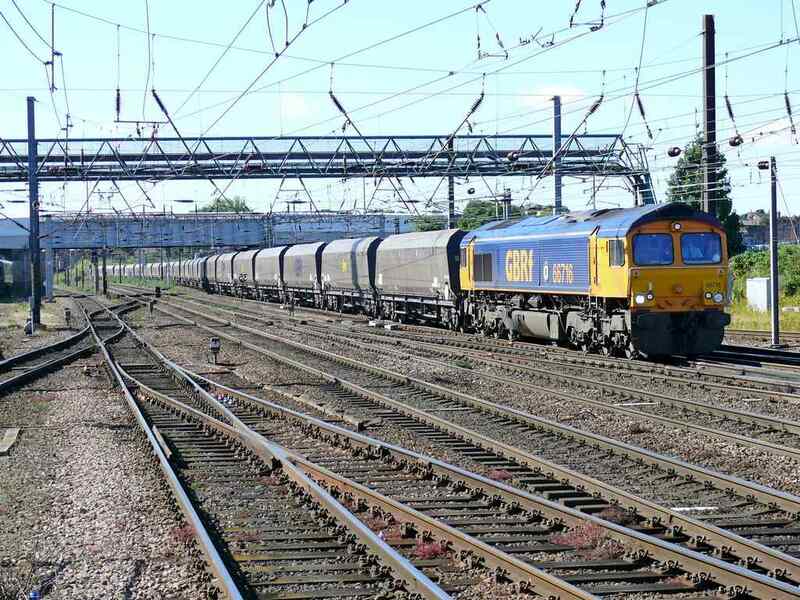 A good example of where a loco hauling matching stock...in this case NR hoppers...really makes a pleasing picture especially when the Sun puts in an appearence as it did at Kensington Olympia on the 17th September 2009. 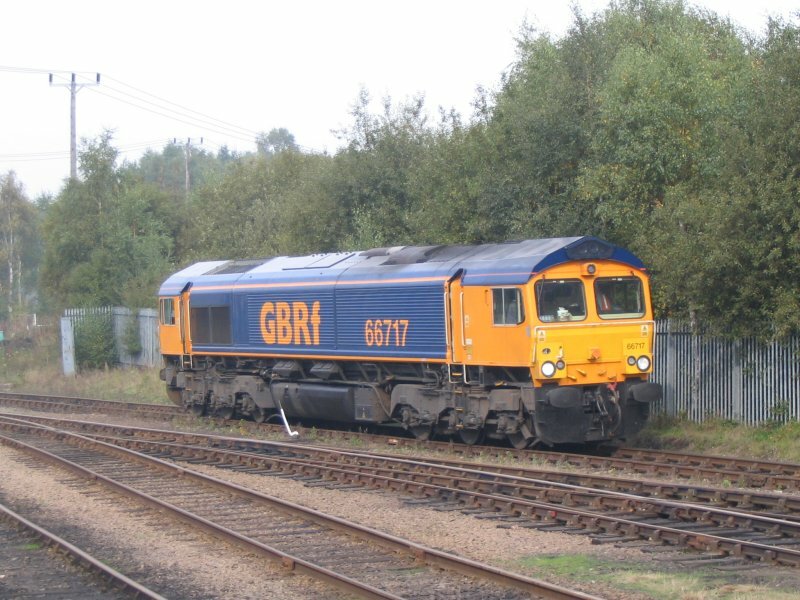 In charge is GBRf's 66710. 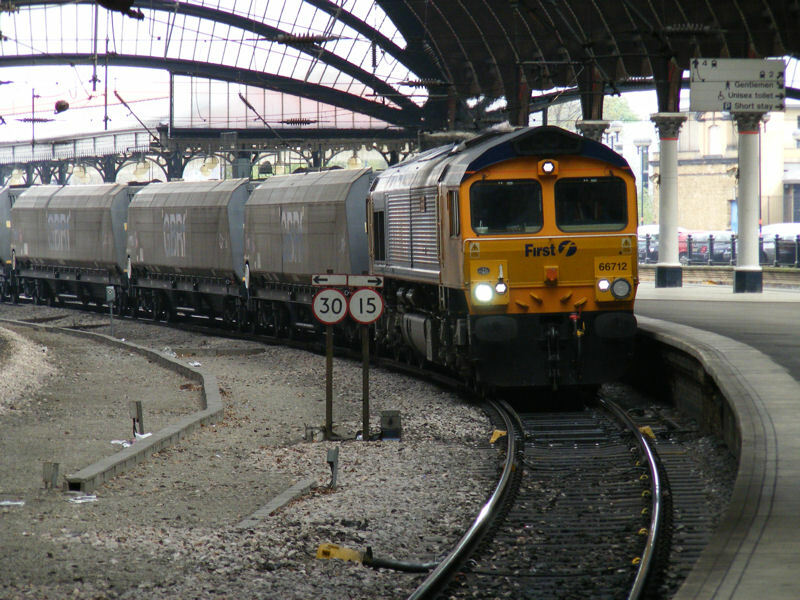 A further scrap move of slam door stock took place the 26th May 2005. 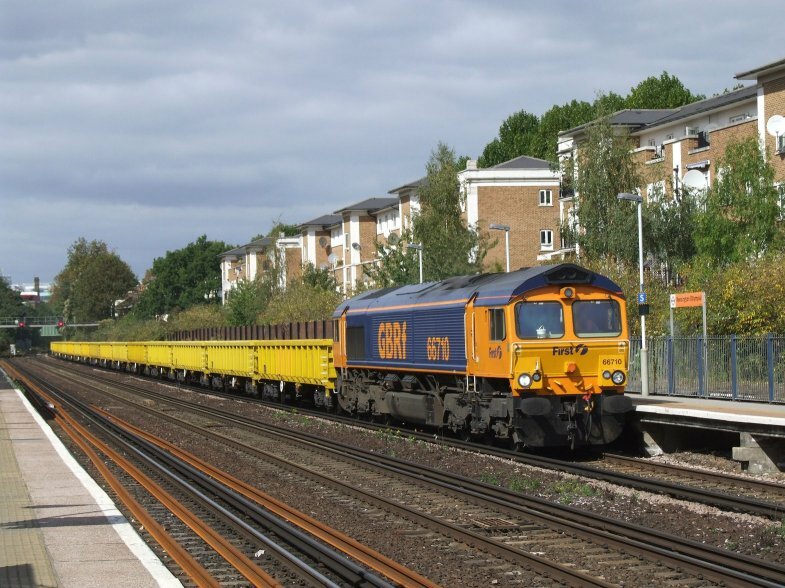 Here we see GBRf's 66715 heading through Wimbledon at the start of its journey. 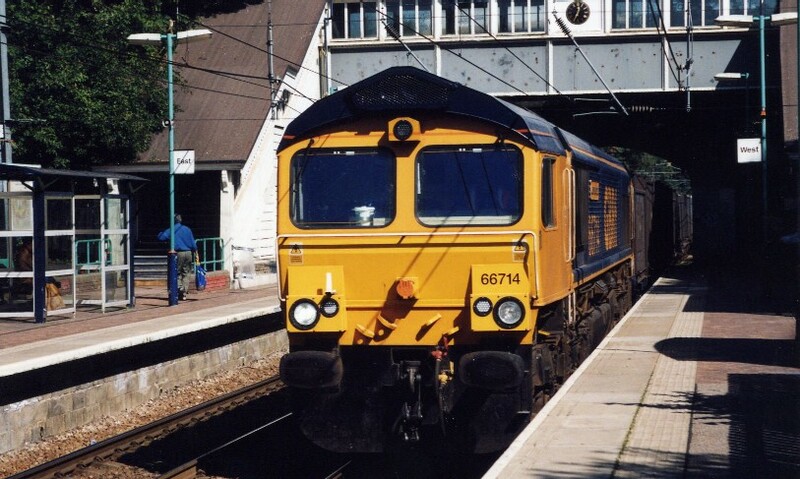 GBRfs 66714 heads through Brondesbury Park on the 9th September 2004. 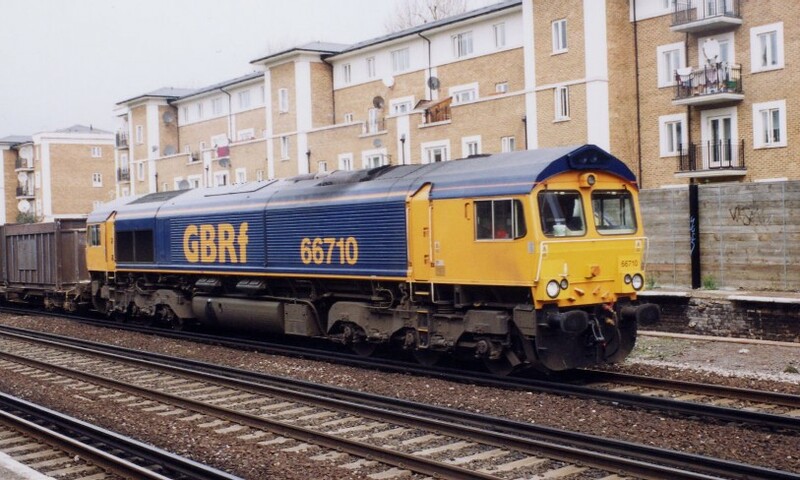 We have not had the opportunity to picture GBRf 'sheds' very often but this one 66710 came through Kensington Olympia on April 2nd 2004. 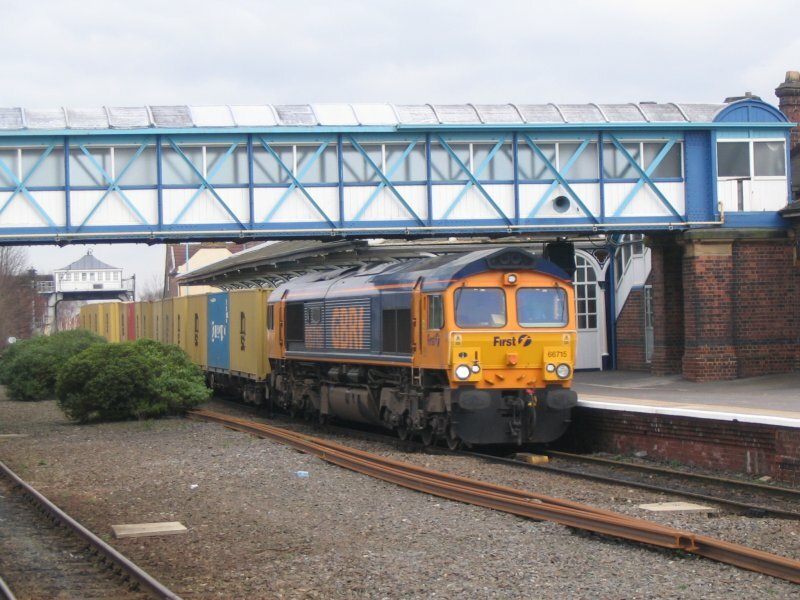 GBRf's 66713 is taking some class 312s to South Wales for scrapping. As the line here at Gospel Oak joins the North London Line trains can conveniently be held until it is clear to proceed. The date is January 13th 2005. 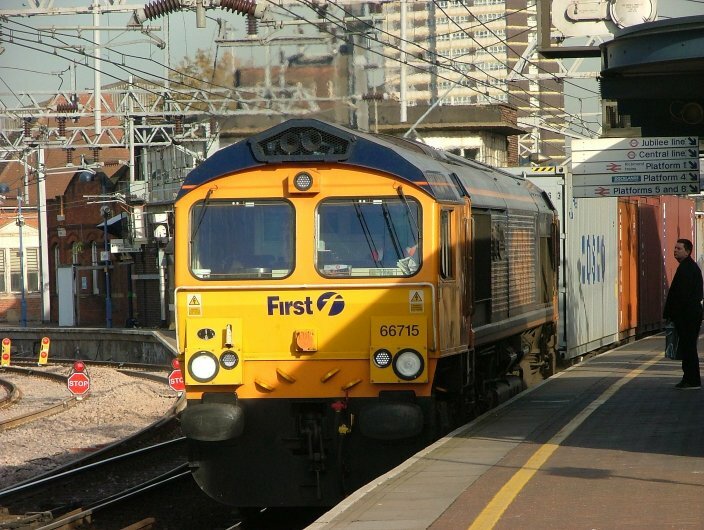 GBRf's 66715 moves slowly through platform 10 at Stratford on the 14th November 2005.